Richard Saul Wurman has been publishing for years and done many interesting things. 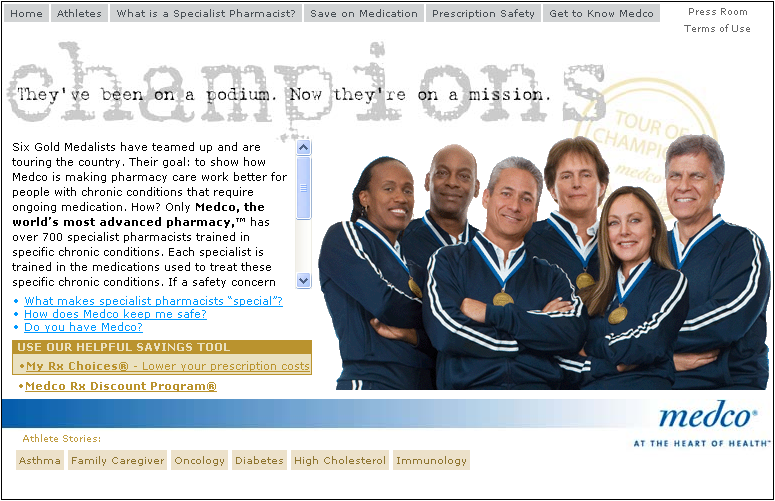 I just stumbled upon his Understanding Healthcare site today. It is worth a visit. You could get lost in it, but it has lots of great examples about how to frame healthcare issues visually. I took a few screenshots below to get you interested. 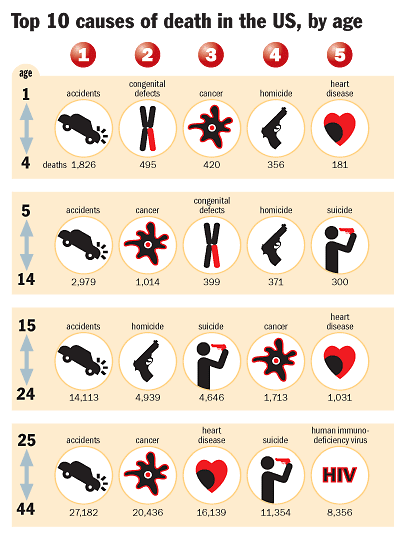 One shows the top 10 causes of death in the US (note all this is a few years old) by age. Very easy to understand the data this way. 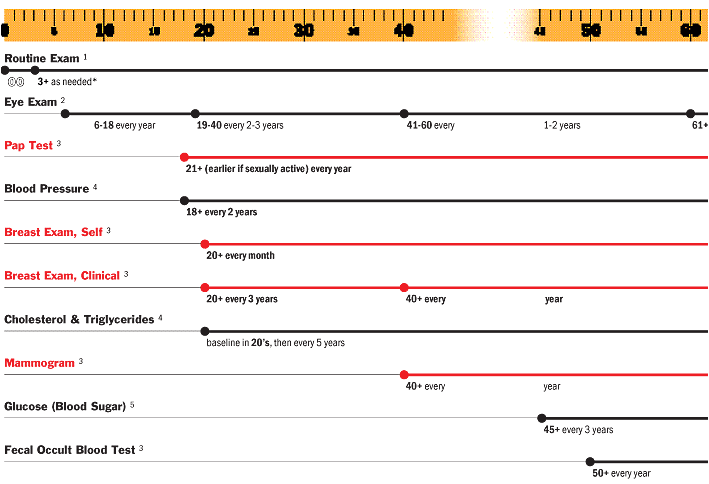 One shows the tests that you need by age. (I could use this now.) 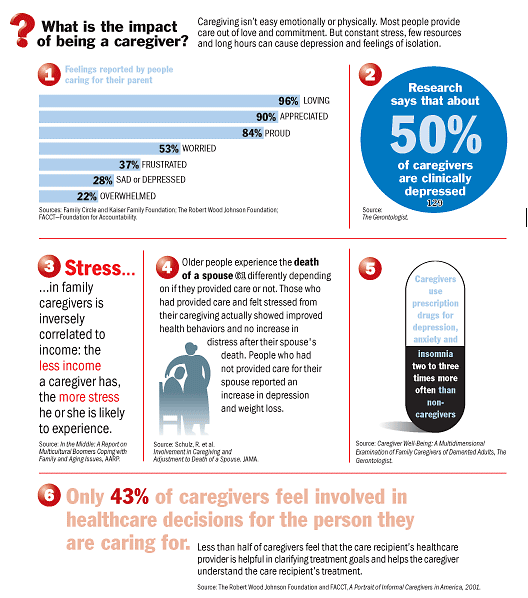 The other is just representation of some data around caregivers. A few weeks ago, Wellpoint revealed that they were going to work with Zagat’s to rate physicians. I think any information with some benchmark is great. Since it is patient driven, it also has the chance of being very subjective which is the risk. The talk about using trust, communications, cost, and availability. I am not sure those would be my choice. Trust: A great concept, but how can I be objective here. Communications: This one is critical. Did they communicate well? Did they write down any recommendations? Do they call to remind me of appointments? Were they timely in getting me follow-up appointments? Do they remember who I am from my last visit? Do they look at me? If I bring in information, are they receptive to discussing what I found? Are they straight or do they beat around the bush? This should also include the office staff – are they friendly? Bad office staff can blow it for a good physician very easily. Cost: This is another critical one as long as it is not simply about the cost of the physician. Did they take into account my formulary when writing prescriptions? Did they make sure that physicians they referred were in network? Did they prescribe generics or offer me samples? Did they suggest non-invasive treatment options (e.g., diet)? Availability: Conceptually yes, but I am not sure your going to learn much here. The best doctors should be the busiest doctor. I wouldn’t want them to get a low rating simply because everyone goes to them. Now, ability to stay on time would be good. Ability to fit in sick patients within 48 hours would be good. I might even include accessibility here. 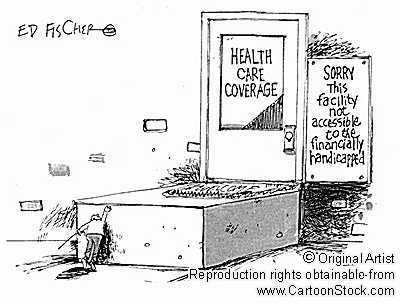 Can I access the building easily if I am handicapped? Does it have easy parking? Does it have a place for my kids while I wait? Technology: Why not measure how and if they use technology? Online appointment setting. Handheld prescribing. Kiosks for signing into the office. EMR. Outcomes: I hope that we get to a point where Wellpoint is complementing the patient data with outcomes type data or actual claims data. Perhaps the most worrisome fact was that 30% said that the rising costs made it difficult to afford food, heat, and housing and another 30% said it caused them to reduce retirement contributions. People were positive about wellness programs, but that went down if the program was prompting them for care (but they would do that if it gave them a break in premiums). 47% of Americans say that the healthcare system needs major changes although almost 1 in 4 say only minor changes are needed (probably the healthy people that never use the system). Here is a good cartoon. There are lots at this site. I often get asked the question about how I made the transition from architect to business. The turning point was two projects I did. One was a visioning and architectural planning project for an Indian tribe that was using casino profits to buy back their tribal lands. The other was a sales process analysis for an architect I knew. He (and his father before him) had run a successful architecture firm for over 50 years. Over the past few years, their sales close rate had dropped. Not significantly, but enough to cause concern. Now, almost 15 years later, they still use the process. It got me thinking about healthcare. How often do we reach out to the patient to learn about their behavior? Do we really understand them at more than a macro level? With the technology available today to personalize communications or even benefits, shouldn’t this be a big focus. If I can developed personalized medicines based on my genes, I would think companies could figure out a way of developing personalized insurance plans that are based on my family history, recent claims, and predictors of future claims. As I thought more about this, it reminded me of a question that someone asked me last month. They basically said “if you see a company is doing something really wrong, do you just come out and tell them how stupid they are?” What a great question? This gets to the heart of so many things. In a big company, politics often limits your ability to be brutally direct. As a sales person or consultant, you often have the issue of impacting future sales. As a peer, you have the issue of alienating someone or hurting someone on your team. Anyways, bringing this all back…How do we get patients to trust healthcare companies and providers enough to give us valuable, direct feedback to improve our business. And, how do we engage the patients to create an ongoing dialogue to improve. I have included some articles like this before. Money magazine always does a good job of coming up with these, but they are a little scary sometimes. We all know that errors are possible, but error rates and calling them “common” is worrisome. For example, they say “patients sometimes wind up sicker than when they arrived”. And, they also say to “avoid hospitals late at night and in July”. One reason these mistakes persist: Only 10% of hospitals are fully computerized and have a central database to track allergies and diagnoses, says Robert Wachter, the chief of medical service at UC San Francisco Medical Center. Although I agree, I find it troubling that one of the article’s recommendations is that “patients should always have a friend, relative or patient advocate from the hospital staff at their side to take notes and make sure the right medications are being dispensed”. Of course, we can’t always choose our hospitals. Where does our doctor practice. Which one is near our house. It would be great to have a flashing sign above the hospital that says “our error rate is only X”. Obviously, this is what people are focused on and hopefully they are applying concepts like Six Sigma and other statistical tools to identify the reason for errors and develop a process for eliminating them. Are you going to the AHIP Business Forum in Chicago – November 12-14th? If yes, let me know or look me up. My local pharmacist told me that they are now moving to free antibiotics. I still haven’t figured out how I feel about this from a business perspective. From a patient perspective – great. Less out of pocket (or so I hope). The reason to do this is to capture new market share. Is it working? Target gave away a $10 gift card if you brought a new prescription to them for a while. I don’t think it is was a profitable deal for them, but I am not sure. In most cases (even WalMart), the discounted or free drugs are a minority of the total Rxs dispensed. 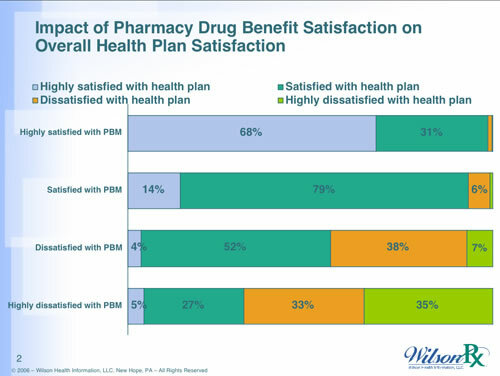 Assuming people are mindly happy with their current pharmacy, are they willing to move for one drug that saves them $4 or $8? For cash patients that move, are the other drugs they fill at the new pharmacy more expensive then their previous pharmacy? Has this strategy become a requirement at retail or is it still a differentiator? Why start doing this? The right answer would be that you care about the patient. I think the reality is the that pills cost almost nothing and your labor is a fixed cost so why not. Perhaps it makes sense. It certainly gets a lot of marketing coverage. It would be interesting to see the data at some point and see what market share moved, at what cost, and whether it was profitable marketshare. 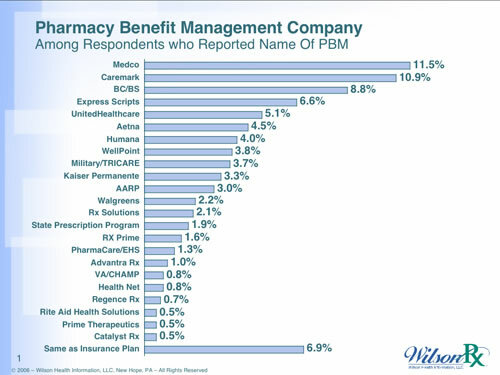 Your biggest risk as a pharmacy is opportunity cost. As your staff becomes busier, do they have less time to counsel patients? Does their error rate go up? So, I struggled with an article I read last week which talked about kids menus “growing up”. Non-alchoholic chardonnay and merlot juices – really? Marshmellow sushi with fruit roll-ups as wrappers and a piece of candy on top. Kiddie sushi with chicken-fingers. On the one hand, kudos for creativity. On the other hand, none of these jump out to me as great examples of what we want kids eating. It makes me think about kids drinking soda (or pop as I called it growing up). I agree that we don’t need soda machines in the grade schools, but what good is that if we have kids growing up drinking soda. I was at a kid’s birthday party a few weeks ago and saw a kid drinking root beer out of a bottle. That seems a little bit unnecessary. But, again, how many of us drink soda or coffee or other drinks other than water in front of our kids. What should they expect? 82% of women and 71% of men have experienced a physical symptom of stress in the past month (sleep problems, overeating, skipping meals, or using prescription drugs). 58% of married people said were more likely to fight with family members when stressed. 52% of employees have considered or made a career decision based on workplace stress. Lower income adults are more likely to experience symptoms of stress – physical and psychological (irritability, anger, nervous, sad, lack of energy). These paint a bad picture. The article says that 32% of those responding regularly experience extreme levels of stress. There are lots of suggestions on managing stress. AARP offers a series of information on the topic. Revolution Health offers information on stress. And, I am sure that lack of sleep contributes to stress. So sleep more…meditate…and enjoy life. In retrospect, it was crazy. The only solution that I came up with was to make sure I never slept more than 30 hours per week. That ultimately translated to a minimum of 2 and often 3 all nighters (probably not the healthiest strategy). The next semester I tried getting a regular night’s sleep every night. My conclusion…I got more done in less hours by being more focused and making less mistakes. Not a true study, but as I learned, it seems to be supported by lots of facts. I wish I had known. It would appear that my grades would have been better, and I would have been thinner if I slept more. But, it is a serious problem. People are busy, stressed, and never have time to sleep. Even knowing all this, I can’t image sleeping 8+ hours per day. I used to tell my team that since I slept 1-2 hours less then them every day (or 365-730 hours per year) that I enjoyed an extra year of being awake every decade (exact math not important). I love life and enjoy maximizing the day. The challenge is finding that right medium to enjoy it productively. This is not a blog about my company – Silverlink, but I certainly am happy to share some of the learnings that we have. We just put out a press release with one of our clients that has some great results. The client – Medica – is a non-profit, health insurance company with 1.3M members headquartered in Minneapolis. Welcome calls which increased member satisfaction while reducing costs by 90%. (Does your plan call you? I certainly never got welcomed to a plan.) They also were able to reduce their resolution time for resolving member issues by over 75%. Coordination of benefits communications which led to a 32% increase in efficiency and less pended claims. And, communication costs were 8% below the costs of traditional mailers. Obviously, there is a reason I choose Silverlink as the company I joined. It is great to see customer validated ROI (Return on Investment). In this world, focusing on your assets and how to maximize them (ROA) is critical. I was glad to see my former employer – Express Scripts – jump into the CDHC space with an acquisition. They bought ConnectYourCare which is a fairly new company that had jumped into the market over the past few years with money from RevolutionHealth. It provides online tools and a card for managing your HSA / FSA type funds. It will be interesting to see how this plays out. It may be a little late in the selling season to affect 2008 but it could play prominently in the spring for renewals or new business. As an aside, ConnectYourCare provides a nice glossary of terms you might here around consumerism and benefits. You can also get access to some of the Forrester research through their site – here. 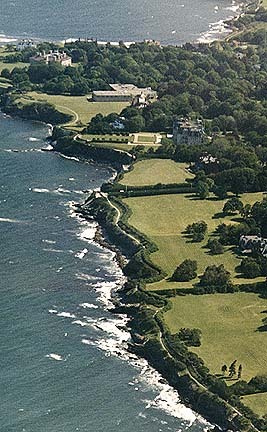 Totally off purpose here, but I was in Newport, Rhode Island this morning and had the chance to go for a great run on the Cliff Walk which is right along the ocean and runs along many of the famous mansions in the area. Here is a quick shot. Kiosk for check-in works great, but I don’t understand why it doesn’t take my insurance card and license right there. No line, but I have seen one there before. Determined that I have allergies and wrote me several prescriptions. 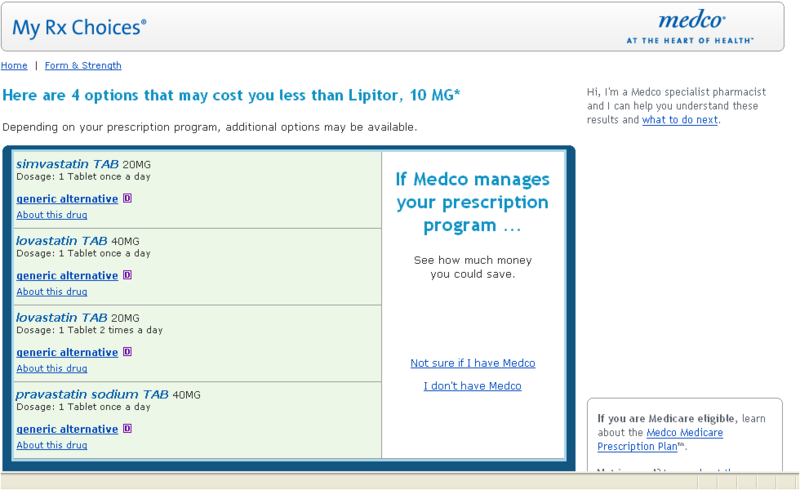 Initially the prescriptions were off formulary, but the system flagged that and we found some with generics available. No real pressure to fill them at Walgreens. I felt some implicit pressure, but it was probably self-inflicted. No health information. I think they missed an opportunity to provide me with information on seasonal allergies. Overall, I was pleased. It took longer (~30 minutes) than I expected, but I believe that was due to the thoroughness of the application. I am not sure if (or how) that information gets to my primary care physician which would be a nice follow through. I am also a little surprised they don’t offer to push the information to an Electronic Medical Record (EMR) or my Personal Health Record (PHR). The fact that I didn’t need an appointment and feel like the diagnosis was right was great. I did ask her how many people came there inappropriately and she told me that they have had to call an ambulance and send people to the ER. 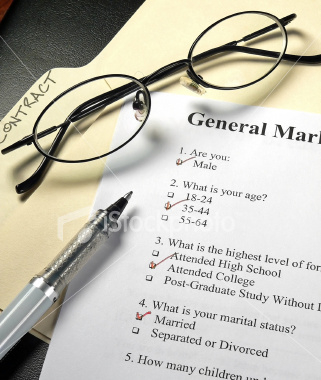 The FDA has lots of information on generic drugs at their website. If you want to promote this to people, you can use their collateral. Here is a slide show of theirs (now that I know how to do this) and one of their educational PDFs. John is a blogger at eHealth. I found this presentation by him on Web 2.0 technologies. I was looking at how to embed slides in my blog and came across this. Not only is it interesting, but I think the analysis is well done. A friend sent this to me after I described to him why I blog. Very appropriate. “Blogging is intellectual prototyping.” Roger Martin, dean of the Rotman School of Management, University of Toronto. As people always say, it costs less to keep a “customer” than to attract a new customer. Given that 69% of people (per AON 2006 survey) have an option of health plans to choose from, why don’t managed care companies reach out to you to encourage you to choose them? For healthy patients, I would reach out to them to encourage them to choose you. They have to be the most profitable customers to keep. You would hate for them to have either no contact with you or one contact with might not be positive. Additionally, for sick customers, wouldn’t you want to interact with them and understand their impression of you (via surveys) and determine how to influence their decision during open enrollment. Depending on the relationship – risk versus ASO (administrative services only) – you may have different reason for influencing their decisions. How to segment your population? How should you communicate with people? <$40,000 in salary – pay $150/mo. $40,001 – $65,000 – pay $225/mo. $65,001 – 85,000 – pay $300/mo. $85,001 – $110,000 – pay $375/mo. Although it is against my Republican tendencies about money, it made sense. I think it is a reasonable strategy for companies. Every time I bring it up, people think it is a novel idea so I thought I would mention it here. I am always so amazed at how much kids pick up. They come to learn about companies and brands through advertising (something that has been proven many times through studies). So, I began wondering what we are doing to influence our kids on wellness now. Usually, patient programs are focused on sick people rarely on prevention for people that are healthy. And, given childhood obesity issues, there is a lot we have to do although I found a lot of sites talking about this (e.g., Alliance for a Healthier Generation). It is also important that they understand healthy eating versus junk food. Halloween is a good example. My kids enjoy one day of candy and then they can trade their candy for a toy rather than eating it all. It’s all about setting an example. Obese children and adolescents have shown an alarming increase in the incidence of type 2 diabetes. Microsoft has their new healthcare tool out – HealthVault. It does three primary things – search, collect / store / share (i.e., PHR), and connect with devices. The “connect with devices” concept seems pretty interesting especially as we get more intelligent home care devices that track blood pressure and other key metrics. 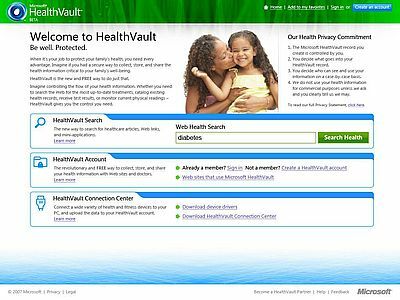 Connect your HealthVault-compatible home health monitoring devices from partners, such as sport watches, blood glucose monitors, peak flow meters and blood pressure monitors to HealthVault Connection Center, and let our software copy your device data to your HealthVault record. Given issues with Internet Explorer, will people worry about security – probably. Given the challenge of connecting with numerous systems and devices, will Microsoft have a leg up – probably. Will patients use these tools – definitely over the next 5 years. Who will win – I don’t have a clue. Here is their blog for developers. 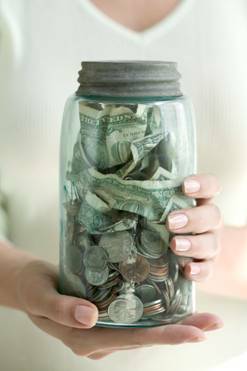 Here is a entry on the WSJ blog about Aetna’s new price transparency policy. Conceptually, this is an important first step. The next question of course is how do you get this to consumers in a timely and easy to digest manner. Then, how does this correlate with outcomes (i.e., quality) and finally, how does this change people’s decisions. It is great for planning. It is great for benchmarking or negotiation. But, I am waiting to see the impact. Matthew Holt commented about his partner in the Health 2.0 conference – Indu Subaiya, MD. I haven’t talked with her, but I didn’t want to ignore her. Here is a link to her blog with a video summarizing some of the best quotes from their recent conference. BTW – I think they already announced that another Health 2.0 conference will be coming so you may want to register to get the notifications now.